I will just follow everyone, I haven’t done a lot of races, my team mates know what to do. We need to talk and see what’s everyone’s competences are, what position we struggle to fill, even though I have different expertise I’m flexible and can move if Chris Forne decides to join our team for example. You have just received a gear list. What will you do? Send the list to all my team mates in case they missed it, and direct them to confirm if they have got everything. Maybe I’ll make a spreadsheet to check the item off. Just pack my gear and hope, my team mates will do the same. I will start thinking about it and write down all my thoughts and suggestions, then if the person who launched our team does not do anything, I will start a thread with all team with questions and suggestions I have got making sure we all are on the same page with our plan for mandatory and optional gear. Maps are handed out at the briefing, you’re not considered as a main navigator. What are your actions after the briefing? I’m going to check all maps out and even though this guy is saying he will look after them I have to be in control of everything. I’m going to chill out and get maximum of the down time left prior the race. I will ask our main navigators if anything I can help them with whether it is waterproofing maps, checking some route options on the map or sorting out their gear for them. We’re a team and these guys are not going to have much time for their individual preparation. The race has just started you’re feeling great and want to move faster than the rest of the team. Yes, I will go in front and show these guys who is in their team. They need to know who‘s the strongest at the end of the day. I chill out at the back. We just started, no point to burn energy just yet. I will be carefully observing what’s happening, where we are, how our team mates are feeling, if anyone is struggling. I will fill up the spot which is the most practical at the moment, whether it is to help someone with their gear or be the last person to make sure the weakest is not feeling left behind and is supported. Someone in your team is not feeling right and it is 3 AM during the first night. What will you do? Crack the sads and remind that you’re here not for a leisure hike? Suggest pulling out. This is about fun first of all. Have a team chat ask if they were eating and drinking enough? Drop the pace back a bit, help them eat and drink and take some of their gear (without overloading yourself too much). You are not feeling great, actually you’re feeling like crap, but your team doesn’t pay attention you’re falling behind and not able to maintain the pace. What will you do? Yell out to them and demand to slow down. Explain to them you need to have a rest. Fall on the side of the road and pretend to be dying. Do your best to maintain the pace, if normally you’re not the weakest team mate. 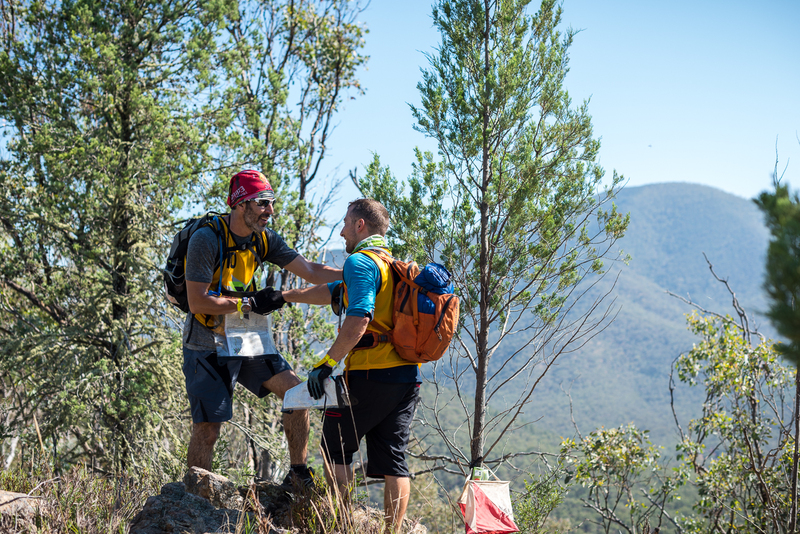 Get extra food in, carefully ask for help someone who is not navigating at the moment, suggest slowing down a bit on the uphills let you recover and have some food and drinks. Start of the night and it is getting chilly. One of your team mates is shivering and suggesting stopping to get dressed. No, we’re not stopping, only when everyone else is cold too. Let him get dressed, everyone can get dressed when they want. Suggest getting dressed all together, you anyway will need to put some extra gear in, no point to waste time on it few times. Your navigator is confused and seems to be completely lost. This is second night of the race. My time to navigate, I will just take a map and bring us to success. I will make myself comfortable and go to sleep, let this guy to have some time on his own, he will sort us out, he can go for a walk by himself and check his theories. I will approach navigator and carefully and supportingly ask him whether he/she has got any concerns. I will let him track us back on the map and explain when he/she was sure last time about where we were, what options we have at the moment, how can we check where we are, should we all go back and check out last junction/summit, other major point. I will try to get as many details as possible to get the whole picture and maybe my fresh look can help to locate us. Your team mate fell off his bike and seems to be in pain but able to walk and maybe even ride. Tell him to toughen up, we came here to race not to lay down on the ground. Poor guy, did anyone call ambulance yet? Suggest distributing weight among other team mates, offer him extra food and check out if he/she have drinks in their drink bottles. After a pause and checking out their injuries suggest trying make sure someone stays with him/her all the time. Stay positive. Your race is not going great. One of your team mates seems to be tired more than everyone else and not motivated to go further, suggesting pulling out in the next transition area. I will tell him to shut up and continue. I paid my entry fee and are going to finish this race. Don’t care. I’m actually not in the mood either. It will be another race, I had enough. Start carefully talking to him, trying to make him/her comfortable and find out what major concerns they have. Try to minimise their concerns, bring on memories of more tough moments and how cool it was to overcome it. Talk about what an achievement it will be to finish it. Your team is coming to the rope section and apparently one of your team mates left their rope gear behind in the TA. Find out how he/she managed to be so irresponsible and talk about penalties you will receive. Whatever… It happens to all of us. Approach it as a team problem and focus on the solution. Whether you can source a gear from a team who already passed this section, ask officials to provide you extra set, or return back to TA to avoid a penalty. You’re approaching TA, and two teams are there, two other teams are coming, it’s getting quite competitive. Quickly and loudly direct your team members to concentrate on their transition, explain them how important it is not to waste time here. Do your TA as soon as possible. Have a rest while others are getting ready. Talk through important items not to be forgotten in the TA such as tracker, mandatory gear, etc. Once I get organised look at other team members who seem to be struggling and help to pack their boxes, fill up their bladders. Ask others if anything I might left behind, talk through mandatory gear list. You have finished a tough long race, but result was not what all team was counting on. Find out who is responsible for it and point them to their mistakes. It happens. I will have a better race next time. All is experience. We had some fun anyway. Organise a team talk in a few days or earlier when everyone is rested and keep chatting, point out a positive outcome, that you still finished, outline your own mistakes and suggest other team mates to comment how you can improve. Do not focus on other’s mistakes if they don’t want to talk about them. You finished the race and the result was much better than everyone expected. Of course, I’m an amazing racer, and purely result of my participation. I will highlight my achievements to make sure no one missed them out. Great. This is how it should be, what’s next? Highlight the great team effort and outline everyone’s strong sides and thank your team. You might be a strong leader, but it is not always the most efficient way to reach good results in team sport and a lot of people might be not that comfortable to be around you and feel pressured. We would suggest you to be a little bit more sensitive to others, more team oriented and self-critical. Adventure Racing is a team sport and team effort brings the most amazing results. Sometime your team mates might have a better solution, or their knowledge can be handy to get a better solution and strategy. You are a very comfortable team mate and you will fit into most of teams. However, in order to achieve good results you need to be more pro-active, participate in team decisions and problem solving. Adventure Racing is a team sport and only if 4 person give it all to the team dynamic positive outcome can be achieved. Do not be afraid to make mistakes and try new things, you might miss a talent buried somewhere. Are you Nathan Faavae, Stuart Lynch or Nick Gracie? Or maybe Fleur Pawsey or Sophie Hart? If not then they might get worried, because you’re so wise and practical that you are ready to conquer the adventure racing worlds any time soon. Great job, you’re a great team mate and your team will certainly reach maximum of their capabilities.